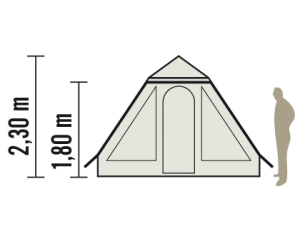 A light and easy to pitch pyramid tent. 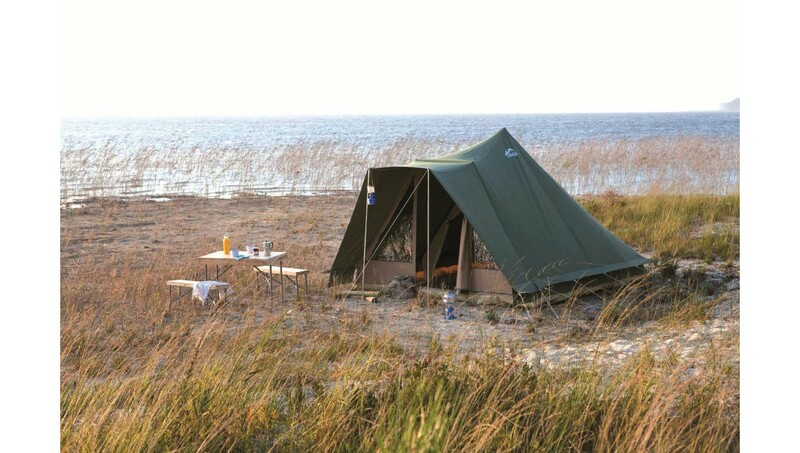 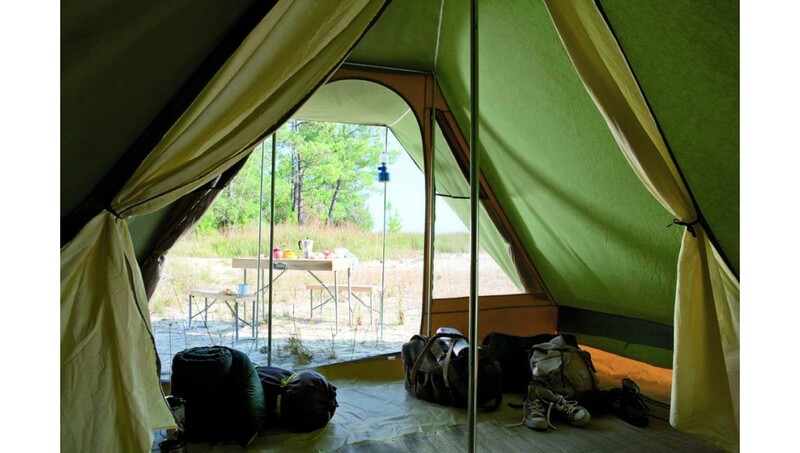 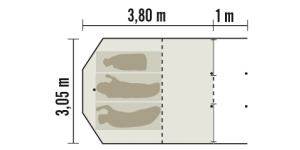 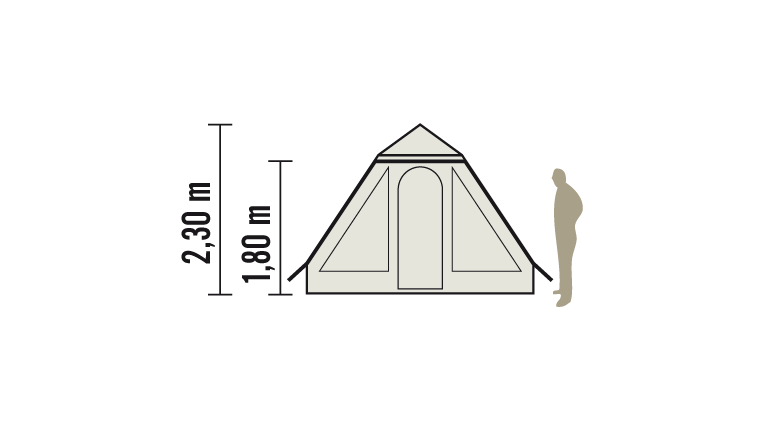 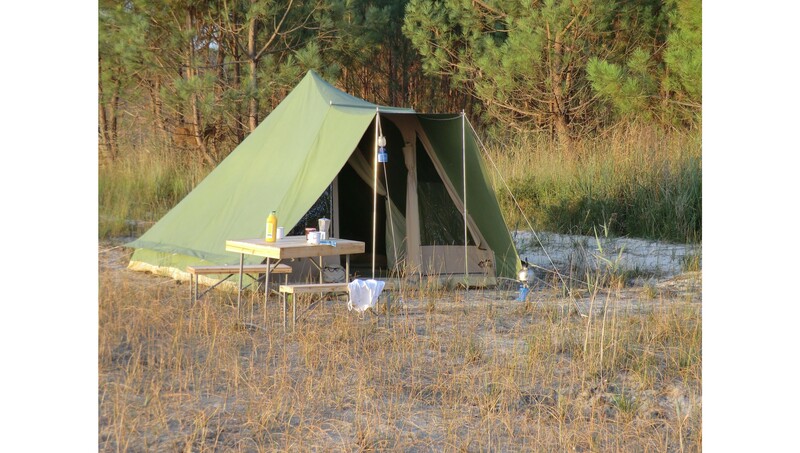 With its single-canvas and central pole, this tent is very lightweight and quick to pitch. 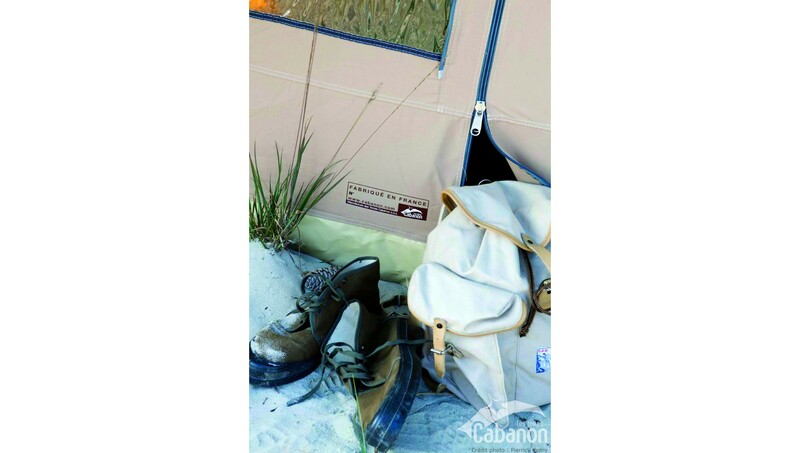 Breathable and waterproof 100% cotton canvas covering for total protection and excellent humidity evacuation in wet weather. 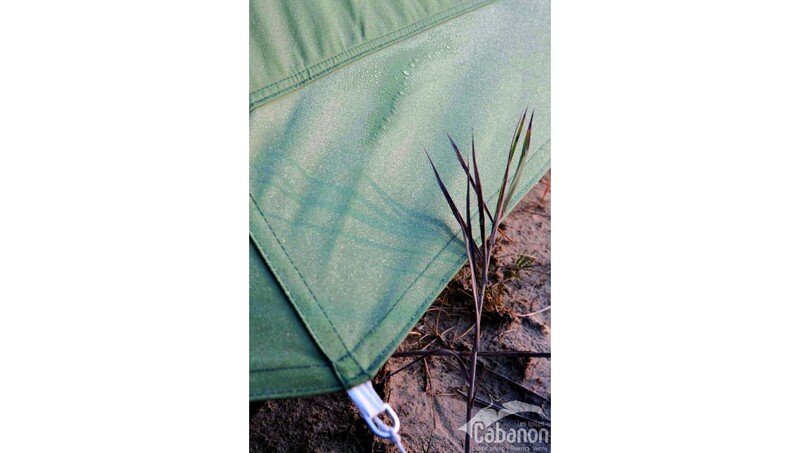 Integrated waterproof and tear resistant groundsheet. 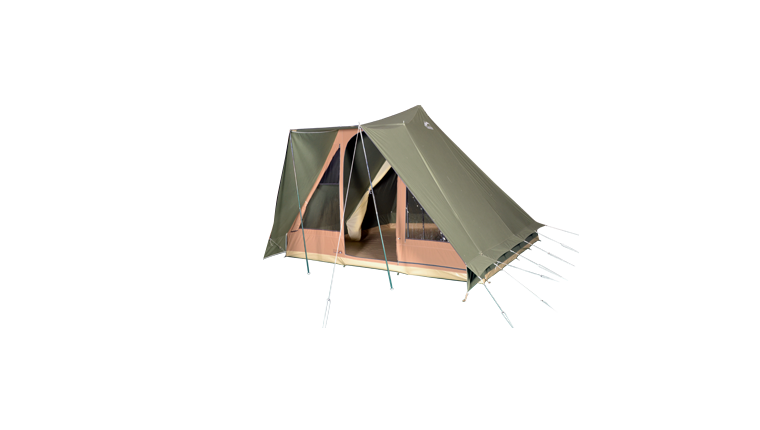 A big roll-up central opening and 2 wide side windows with mesh panels and flaps for airing the tent completely . 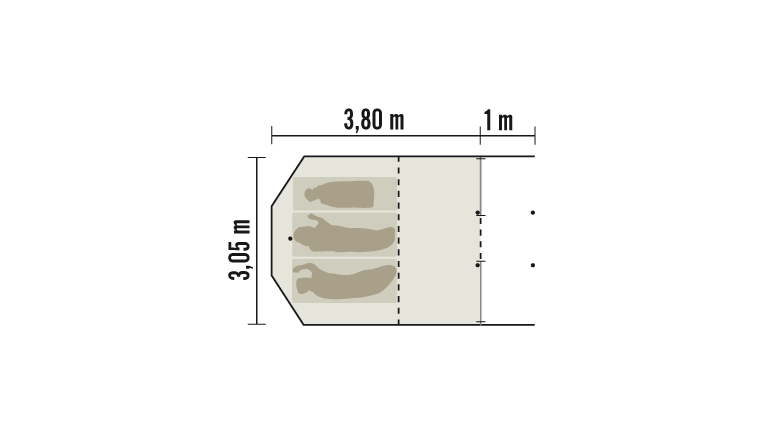 A protective hood at the front gives added space.